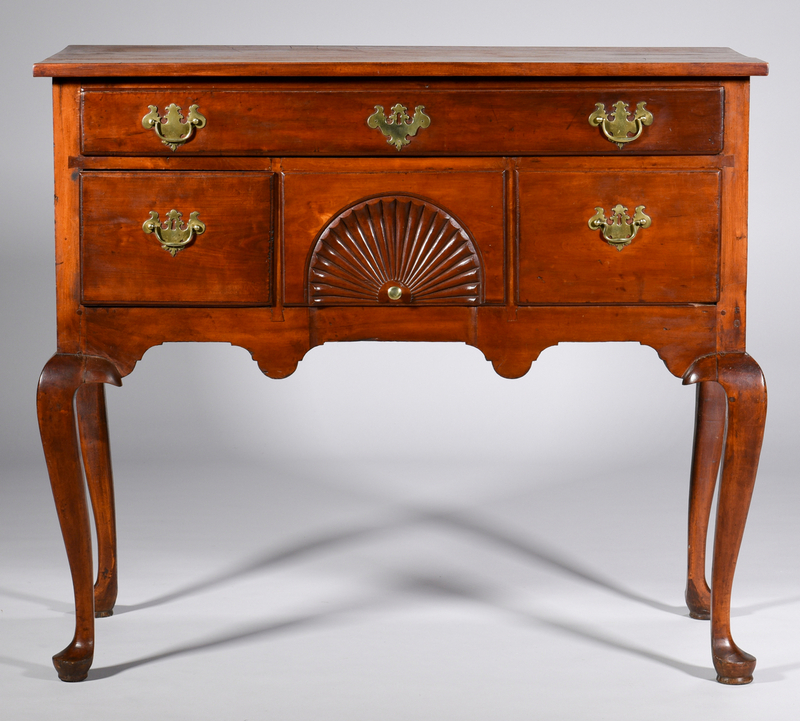 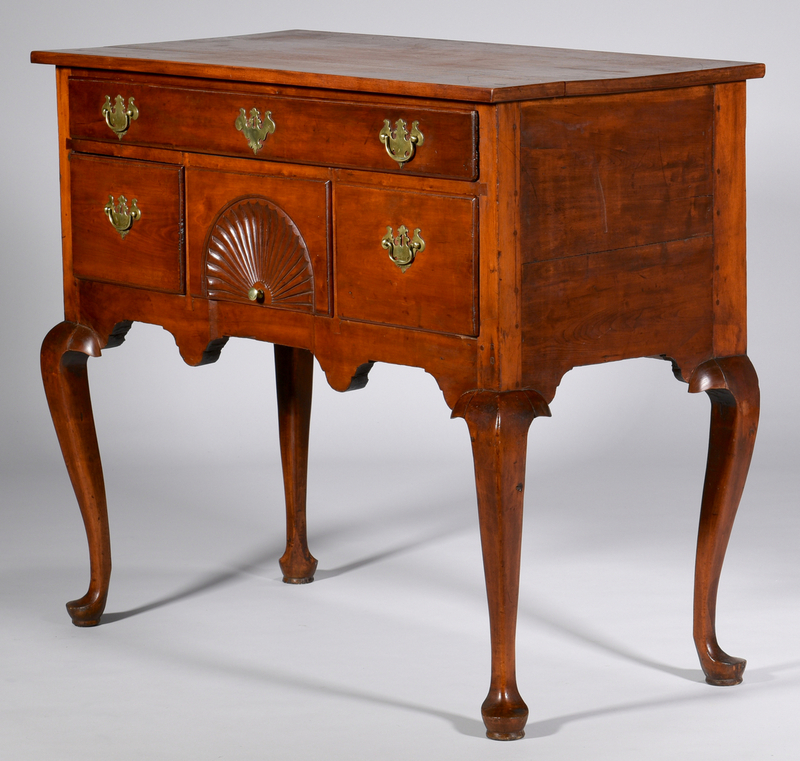 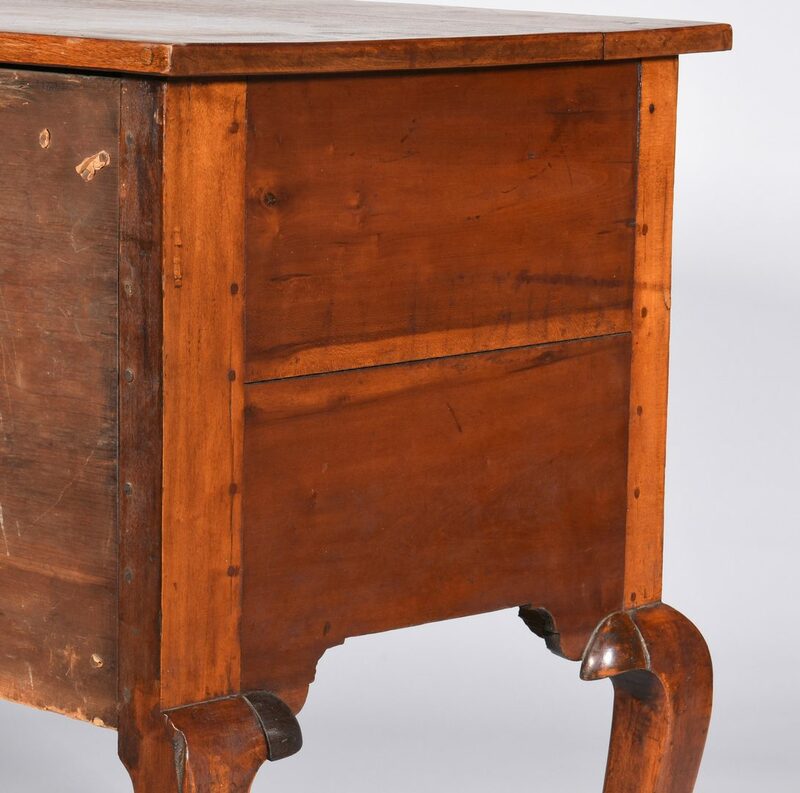 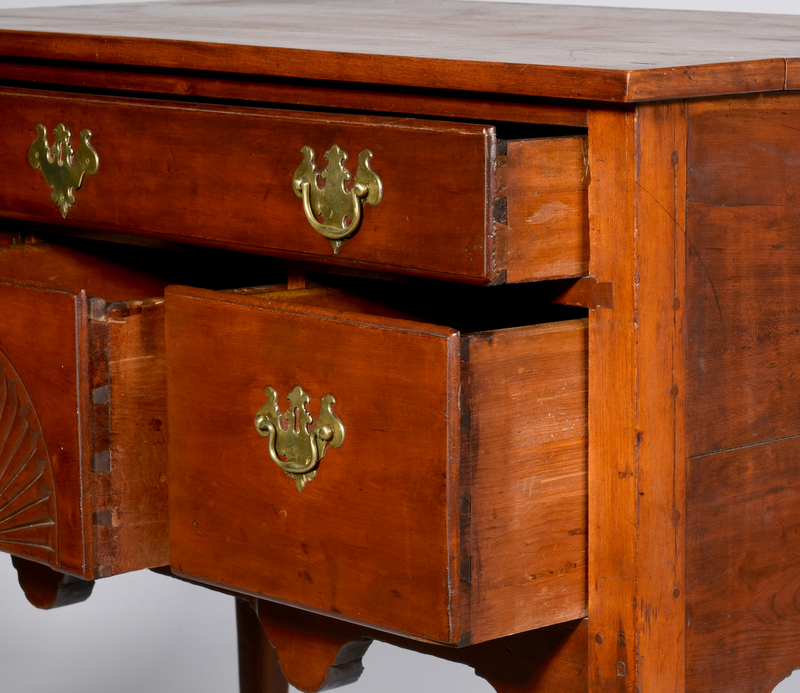 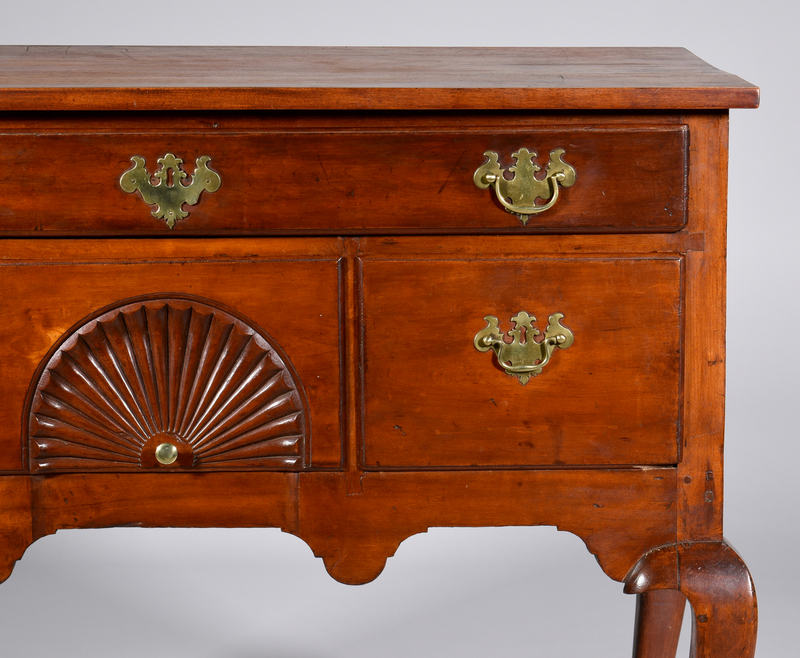 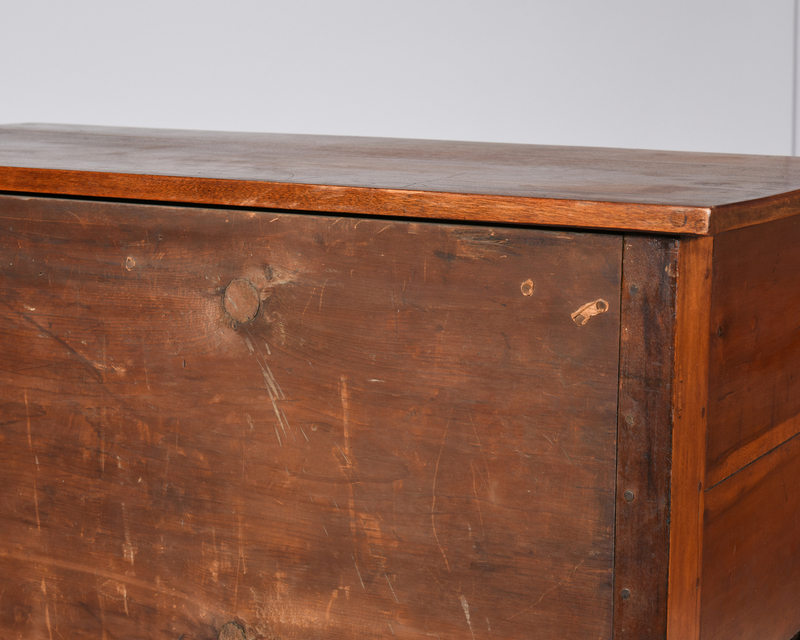 American Queen Anne lowboy or dressing table, cherry primary, walnut secondary, rectangular top over long drawer over two short drawers, flanking a center shell-carved drawer; shaped apron with cabriole legs terminating in pad feet. 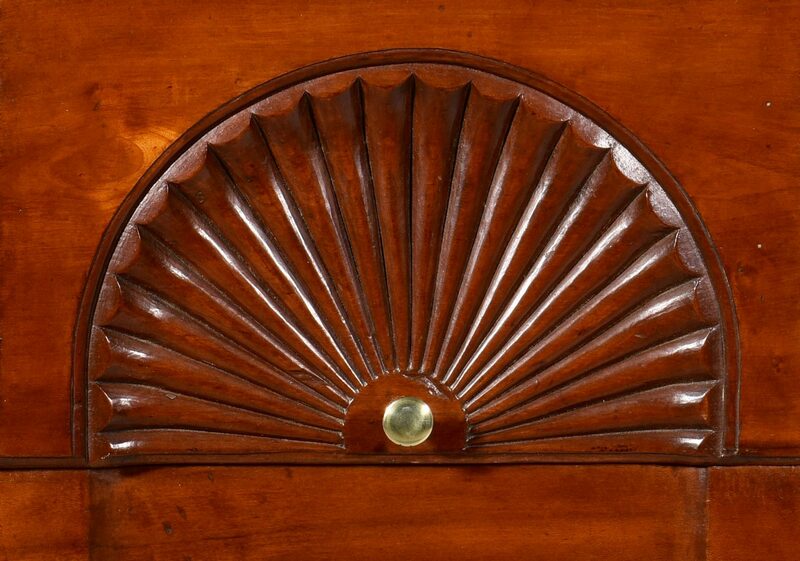 Brass batwing pulls and escutcheons. 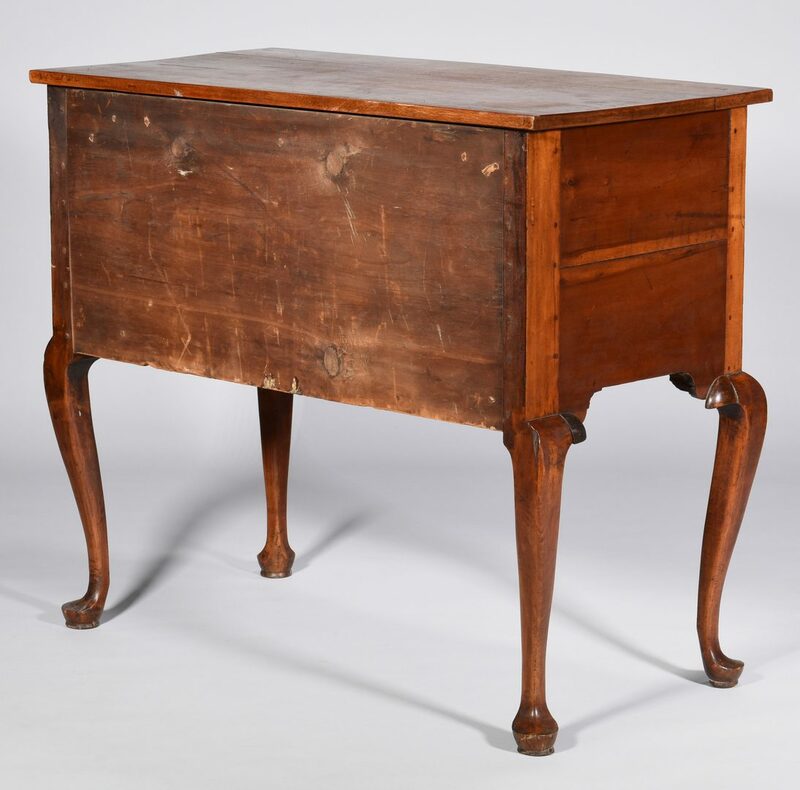 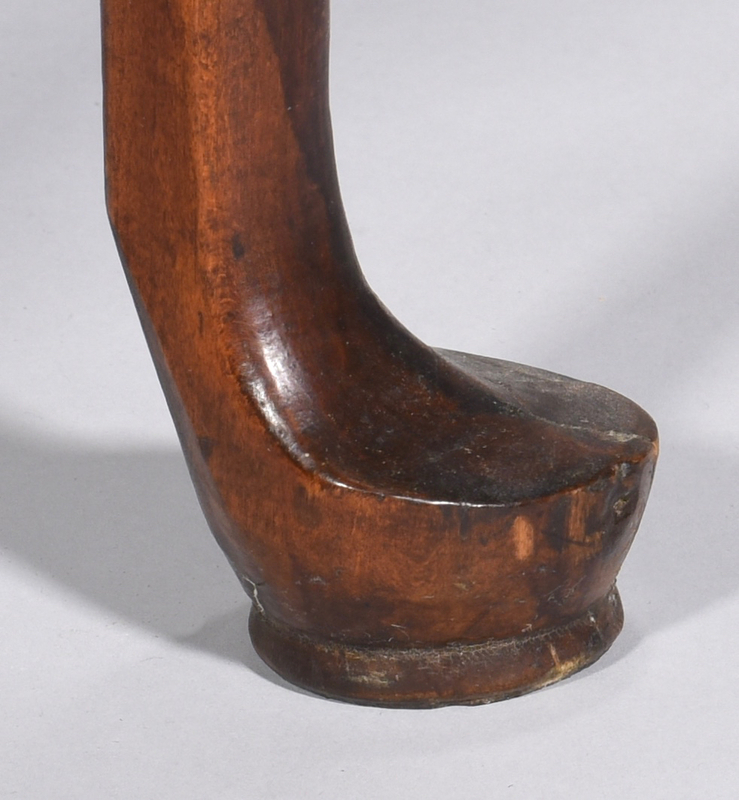 35 1/2" H x 40 1/2" W x 21" D. New England, likely Connecticut, circa 1750. 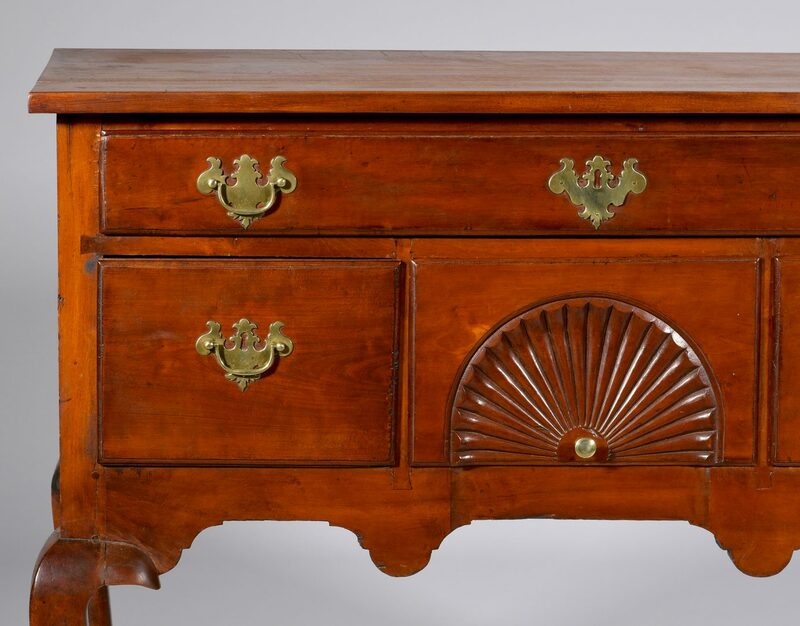 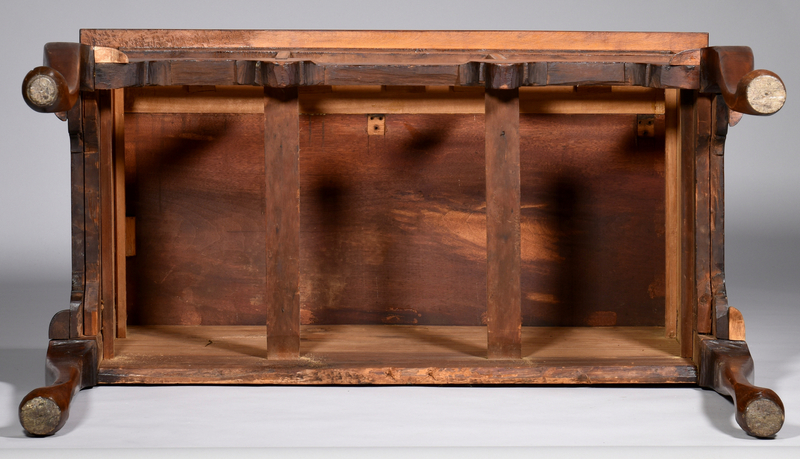 CONDITION: Top replaced; this piece may originally have been the base to a highboy. 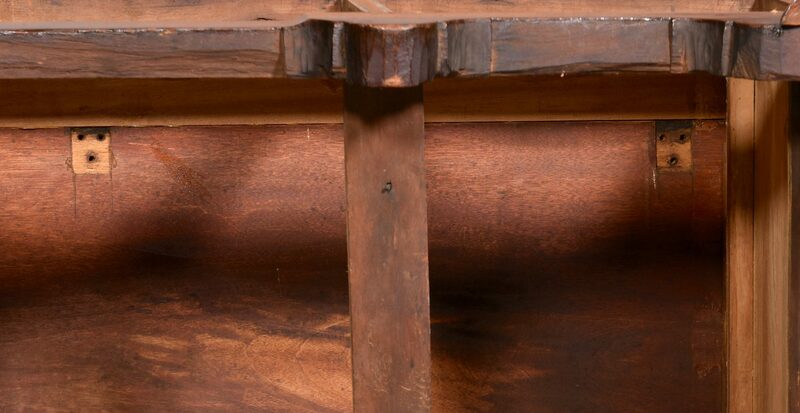 Pulls and escutcheons also appear to be replacements.